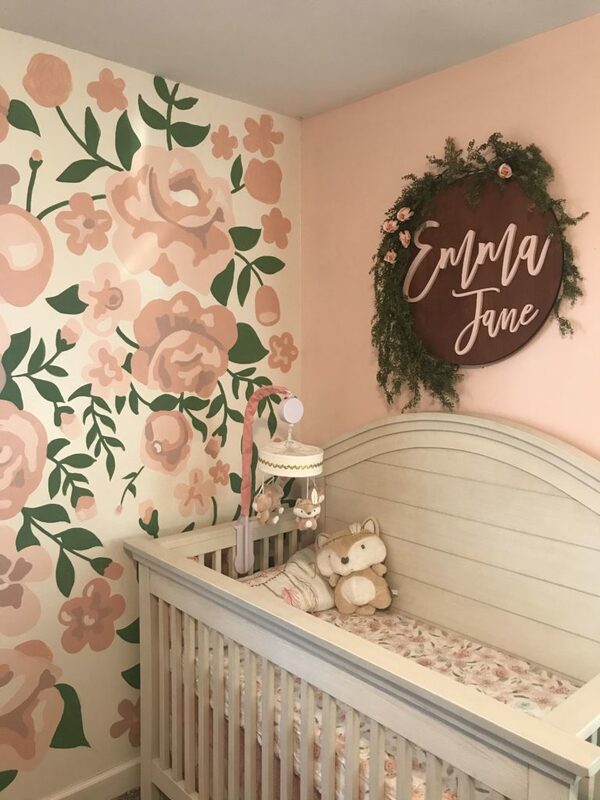 Nursery trends come and go, but thanks to Pinterest we have a constant stream of inspiration to help turn an empty shell of a room into a beautiful nursery. Home interiors and inspiration are often fuelled by what we see online these days and Pinterest makes it easier than ever to gather pictures of a certain theme or trend that you like in a cost effective and easy way, all at the touch of your fingertips. With so many nursery trends to choose from we’ve selected 7 of our favourite, timeless trends that will see us through more than just 2018. Here’s what we just can’t get enough of, and we think you’ll love too! 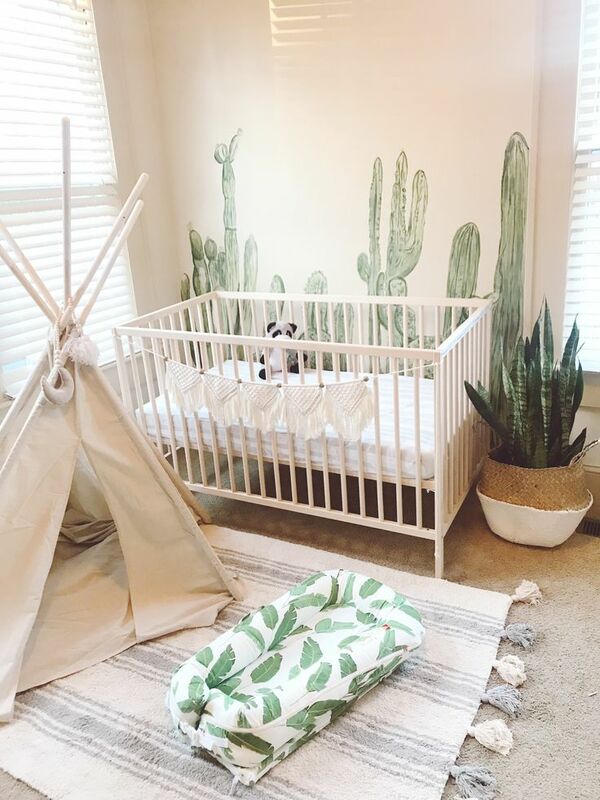 The jungle nursery trend has taken the world by storm this year, our current affliction with cacti, tropical prints and animals has transferred into our baby’s nurseries, and we couldn’t love it anymore. To create a tropical looking feature wall why not try some wall decals for an easy finish or invest in some stencils to create cacti or palm print leaves? It’s all about the deep greens, creams and browns. Finishing off with the cutest animal teddies on the market is of course, mandatory! 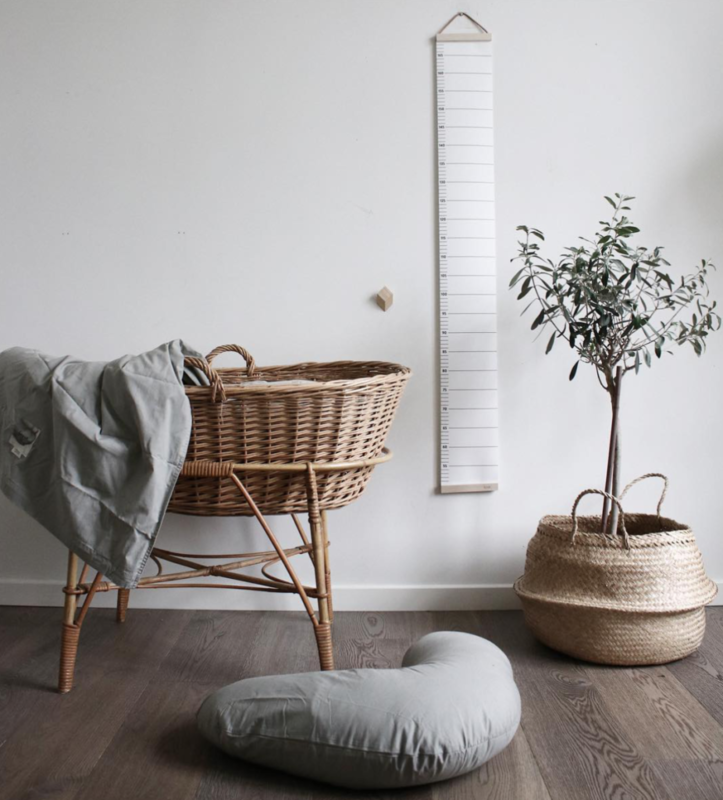 Nothing will ever beat a scandi, minimalistic nursery. It’s simple, gorgeous and provides a calm and serene environment for both baby and parent. 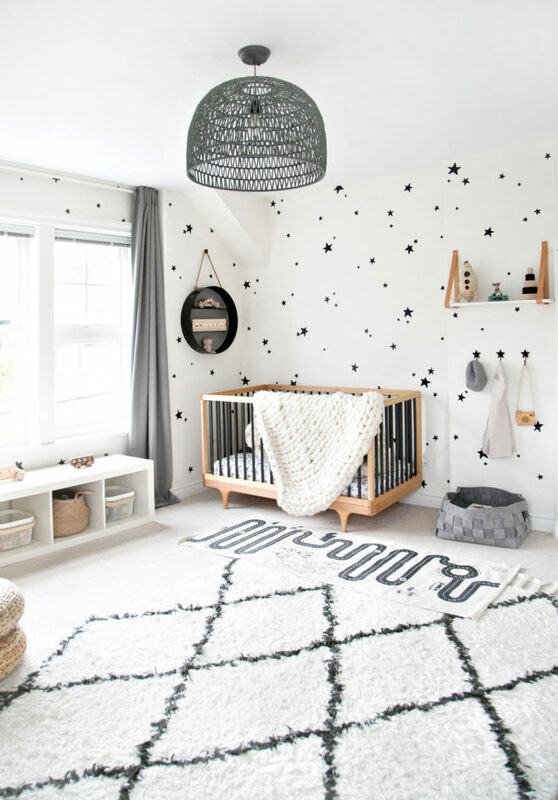 We are obsessed with the below nursery that we stumbled upon on byendgell‘s Instagram feed, nursery goals <3 Think white furs, foliage, grey bedding and neutral colours. A pastel nursery is a happy nursery! Blush pinks, baby blues, candy coloured yellows and mint greens are a millennials dream and they provide the perfect foundations for a nursery. The soft colours look perfect against contrasts such as black polka dots and deep greens, as demonstrated by the below gorgeous name artwork. It goes without saying that pastel themes are always going to be an Instagram dream. All the heart eye emojis for Winter Daisy‘s gorgeous monochrome nursery for her little one. A monochrome nursery is a classic theme that never ages, it’s so easy to dress up with accessories and it’s brilliant for boys and girls. We love the additional touch of black star wall decals, these can easily be removed and replaced as they get older and the nursery needs a refresh. Wake up, it’s a beautiful morning! Every waking moment will be a colourful affair in a nursery like this. 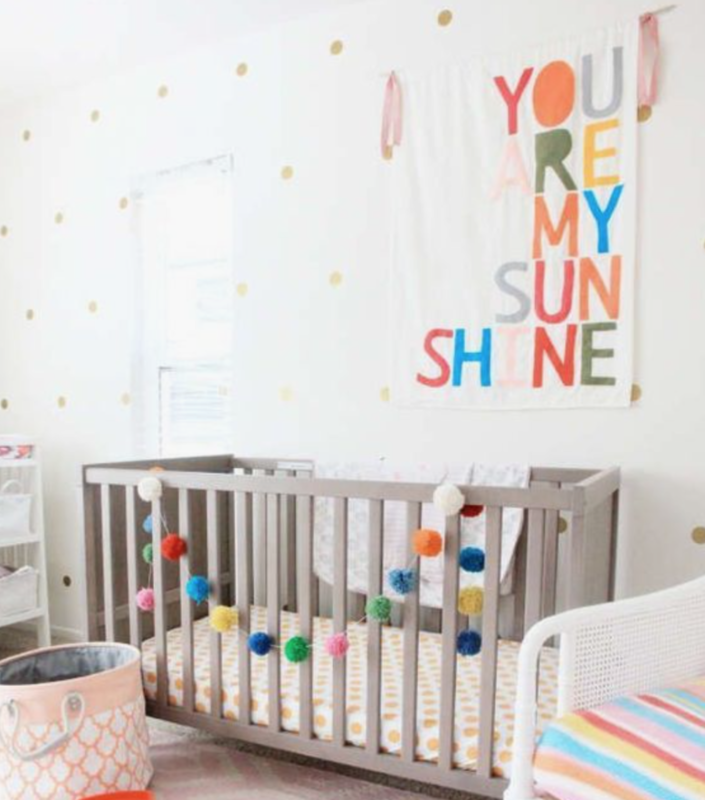 With colourful pom poms and pops of colour on the wall, the nursery has everything a baby needs for a full sensory experience. It’s easy to recreate by starting with plain foundations and building the colour up with accessories and bedding. It’s a great gender neutral idea for a nursery whether you know what you’re expecting or not. A rustic, woodland theme creates such a gorgeous and natural environment for baby. Similar to Scandinavian colours, incorporate some earthy colours and opt for fun furnishings such as animal trophy heads, prints and furs. The perfect theme for your own little woodland pixie! Sure, your child will not be able to understand the true brilliance of Harry Potter just yet, but it’s probably what dreams are made of for any adult Harry Potter fan. Tending to your baby at 2am suddenly doesn’t seem so bad when the nursery looks as enchanting and as great as this. 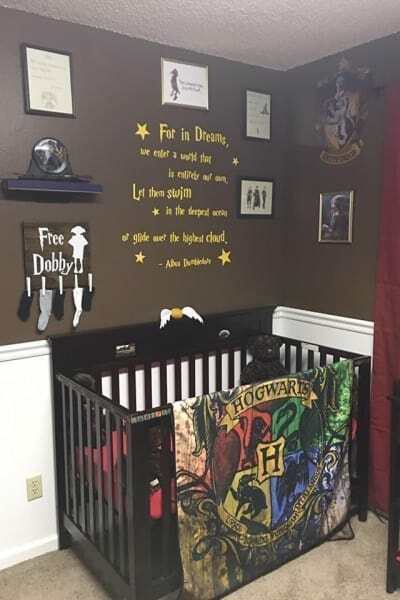 Take a look at Buzzfeed for more magical pictures of this themed nursery, you won’t be disappointed! Take a look at our Nursery Inspiration board on Pinterest for plenty more inspiration. Which nursery idea is your fave? Keep up to date with the latest news from BabyDam over on our Facebook page or Twitter!